Can you paint a dog’s nails? The surprising answers is yes thanks to specially formulated dog nail polish. Pet parents are taking to the Internet to show off their dogs’ cute nail art and matching manis. But is dog nail polish safe, and how do you apply it? Warren London Pawdicure pens. Photography courtesy Warren London. If you want to paint your dog’s nails, you’ll need special dog nail polish. 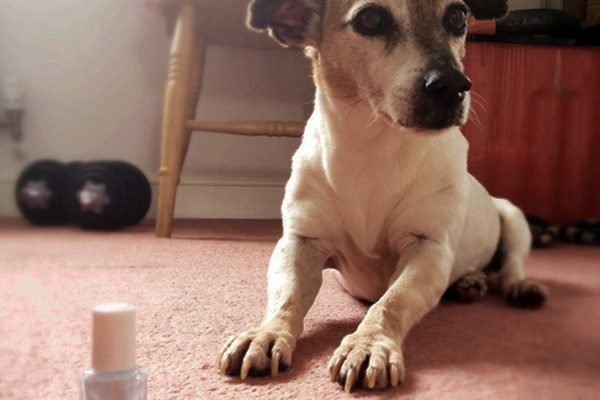 Nail polish made for humans is full of harsh chemicals that could be dangerous to dogs. Companies making pet-safe nail polish including Color Paw and Warren London’s Pawdicure. Professional groomers have been polishing puppy toenails for years, but there have been recent advances in making pet nail polish more accessible and much more practical for at-home use. A closeup of a doggy manicure! Photography by nickpo/Thinkstock. Most dog nail polishes dry very fast so your dog won’t need to hold still for very long. Pick a quiet time when your dog is relaxed to try applying polish for the first time — this way, your pup won’t try to run around while the polish is drying. Some dogs are very sensitive about their feet being touched, or having their nails trimmed. If your pup is uncomfortable, desensitize your dog to having her feet touched before you try dog nail polish. Practice touching her feet beforehand, give her treats while you do it and only touch her feet for a short amount of time at first. Make sure your dog is comfortable with her feet being handled before trying an elaborate manicure and keep your dog from licking or sniffing her toes until the polish is dry. Dog nail polish will wear off naturally in 2-3 weeks. Photography courtesy Warren London. Let your dog’s nail polish chip off naturally in 2-3 weeks or remove it yourself by using non-acetone polish remover (do not leave your dog unattended with polish remover). Or, avoid using any chemical removers at all by using a nail file or buffing block to remove the polish. Is Dog Nail Polish Really Safe? Be sure to use nail polish that’s formulated specifically for dogs — NOT human nail polish. Photography by ProjectB/Thinkstock. Eric Bittman, CEO of Warren London, says, “It [Pawdicure] is very safe if a dog licks their nails. 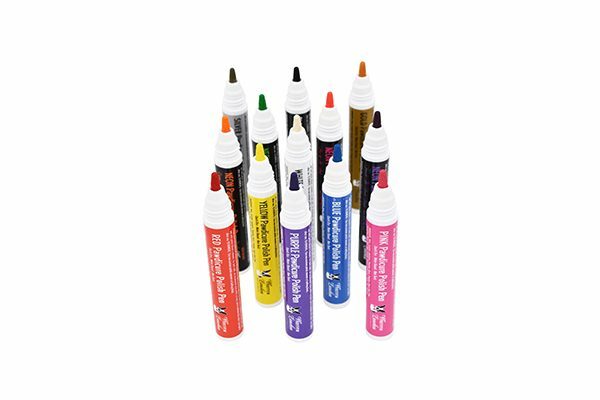 It is nontoxic.” The Pawdicure nail polish pens are all nontoxic and water based — compared to human nail polish, which is acetone based and not something you would want your dog chewing on! Why Make Nail Polish for Dogs? Tell us: Have you ever used dog nail polish on your dogs? 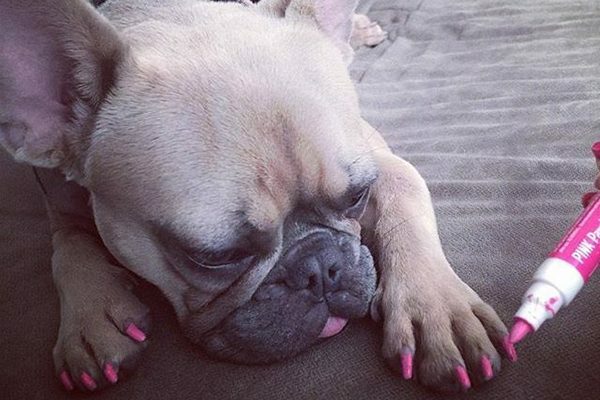 Would you ever try dog nail polish? Thumbnail: Photography courtesy Warren London. 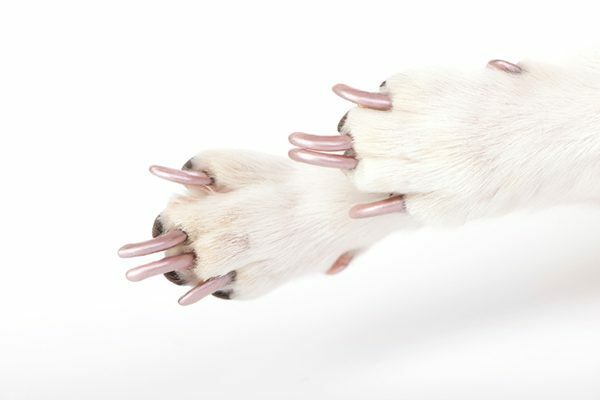 The post Yes, Dog Nail Polish Exists — Here’s How to Paint Your Dog’s Nails Safely appeared first on Dogster.